Product prices and availability are accurate as of 2019-04-18 22:52:10 UTC and are subject to change. Any price and availability information displayed on http://www.amazon.com/ at the time of purchase will apply to the purchase of this product. Maximize your home workouts with the XTERRA Fitness TRX3500 folding treadmill. 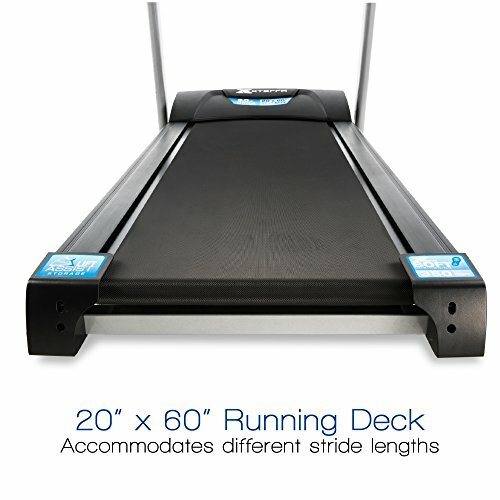 It combines quality, performance, and great looks with the premium features you desire in a home treadmill. 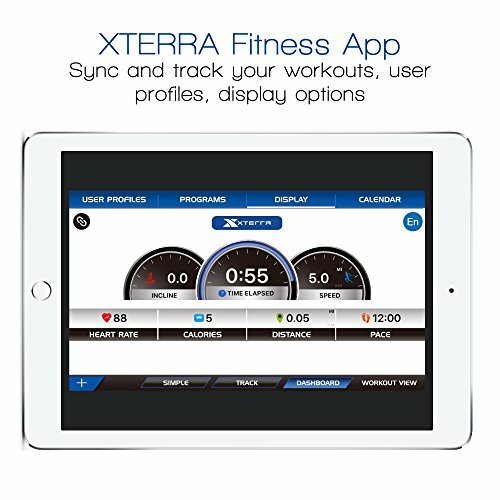 The console display features a large 6.5” Blue Backlit LCD display with 30 preset programs for users of all fitness levels. 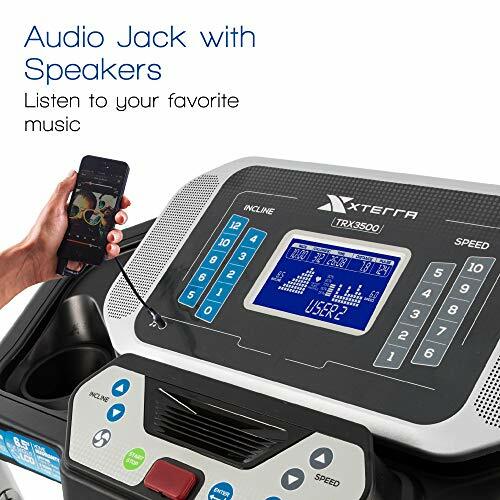 Other convenient features include the console quick access speed and incline buttons for fast workout changes, additional handlebar mounted controls for both speed and incline, speakers for your favorite tunes, and a cooling fan to keep you cool. With the XTERRA status comes our seal of approval with an impressive lifetime frame and motor warranty, 2 years parts, and a full 1 year of in-home labor. The heart pounding speed range up to 12 mph is powered by a smooth and quiet XTERRA 3.0 HP motor. 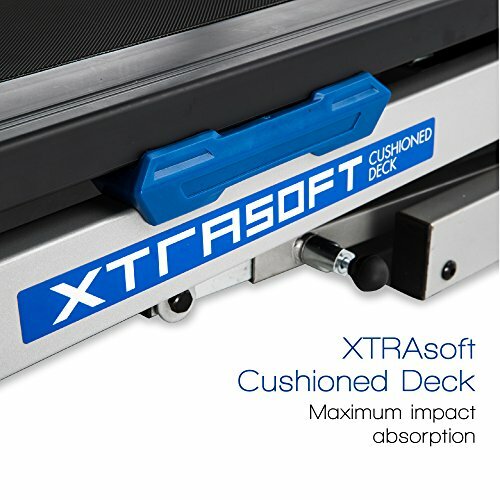 XTRASoft deck cushioning technology, oversized 20” x 60” running surface, and 0-12% incline range are included in the long list of premium features. When not in use you can fold up the treadmill with the Lift Assist frame design, which also includes a Safe Drop feature that slowly lowers the deck for added safety. 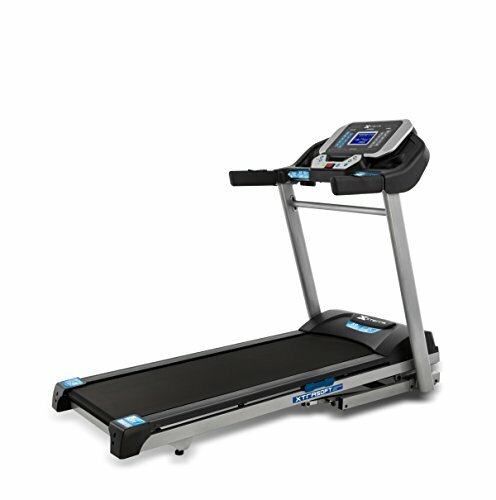 Start on the road to fitness today with the XTERRA Fitness TRX3500 Treadmill and exceed your expectations. • Assembled dimensions – L x W x H: 77.2” x 35.5" x 56.1"
• Assembled weight: 213.9 lbs.